We have many choices to capture wireless packet, off course airmon-ng ( part of aircrack-ng ) is popular in Linux environment, using Wireless Diagnostics to enable monitor mod e in macOS, but how about Windows? There are some options such as AirPcaps, EyePA and the other commercial products. New Wireshark3 is included with npcap packet capture driver in Windows. So we can utilize new NDIS based capture driver to capture IEEE802.11 frames. WLANhelper.exe is a kind of airmon-ng in Windows. 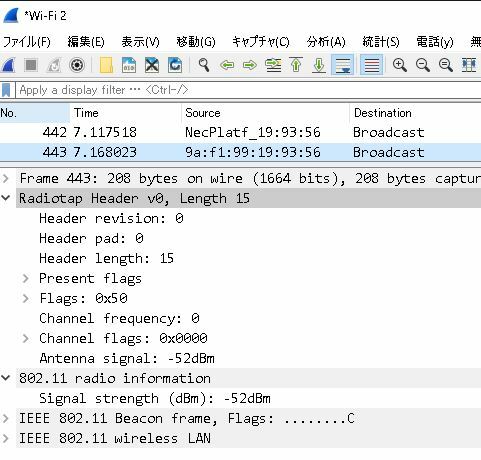 WLANhelper set wireless adapter into monitor mode (NetMon) in open source way. 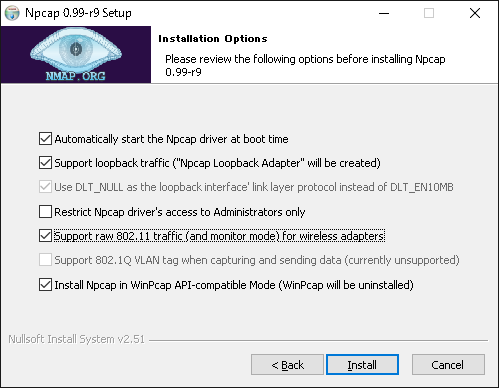 At first, install npcap with “Support raw 802.11 traffic (and monitor mode) for wireless adapters with Wireshark3. Then just execute WlanHelper.exe with Administrator privileges. 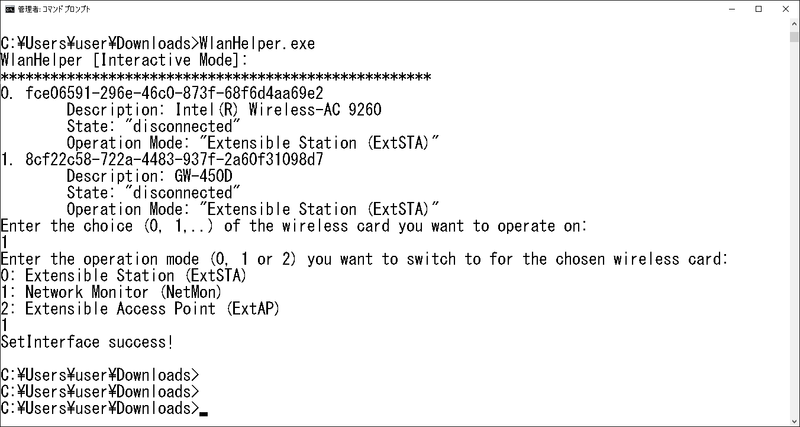 WlanHelper starts in interactive mode, so you will just choose opetions to set your wireless adapter in monitor mode. 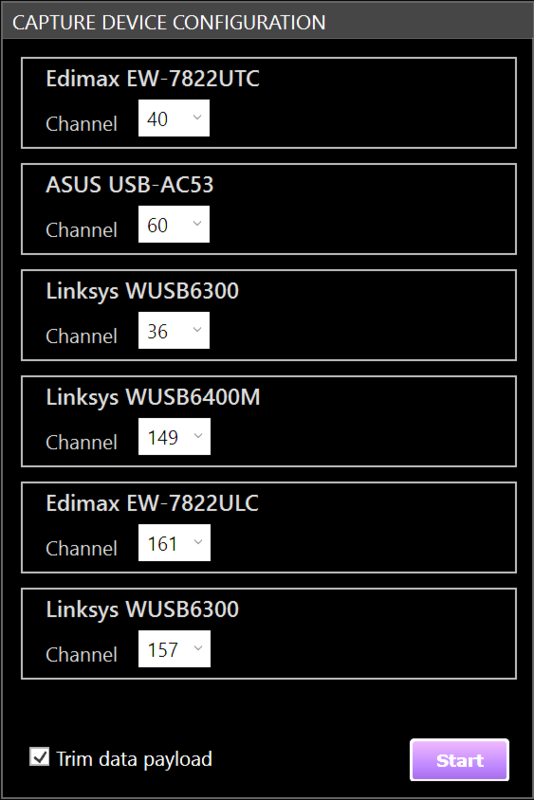 Choose your wireless adapter number and choose 1 to switch WLAN card to Network Monitor (NetMon). This time I tried Planex GW-450D ( MediaTek mt7610u ), thumb size USB adapeter supports IEEE802.11abgn+ac 1x1:1. ( I tried many kinds of adapters, some Realtek and Intel failed but many Qualcomm and Broadcom works well ). Finally, start Wireshark3 and choose Capture>Options, and select your wireless card in monitor mode and check the monitor mode checkbox. That’s all, start capture to collect trace file in WiFi. I also find there are a few information in Radiotap / PPI header than AirPcap and EyePA, but its open source ! WLANhelper is a nice alternatives of commercial products ! !